Next to the MacBook Pro with Retina Display, Workstation Specialists' m1550 looks rather unwieldy as it’s twice as thick and over a kilo heavier – but the first ‘Ivy Bridge’ Windows laptop we’ve looked works well with current-generation creative apps – and has access to some nifty tech not available on Apple’s model. 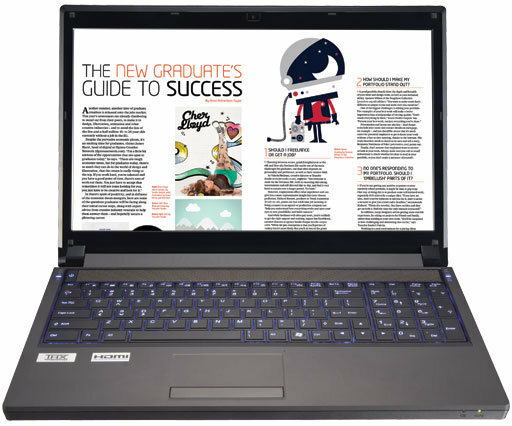 Our review unit featured an Intel Core i7 3720QM chip – the same as on our MacBook Pro with Retina Display. It has twice as much RAM (16GB) and twice as much max RAM too, topping out at 32GB. WS has coaxed more out of the Core i7 chip than Apple, attaining a six per cent faster score in Cinebench’s rendering test. 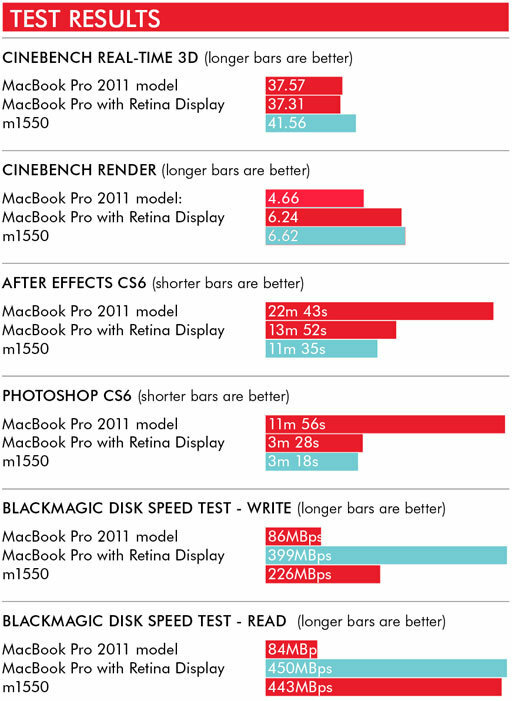 The additional RAM didn’t help much in Photoshop CS6 – it was only four per cent faster in our tests – but in After Effects the m1550 processed an intense comp with multiple HD layers and particle effects 20 per cent faster. This m1550 has a 240GB Intel SSD, which uses a ‘Sandforce’ controller that delivers drive write speeds almost half that of the Samsung-controlled drive in the MBP RD. However drive read speeds – the important one for real-time video editing – are identical. Where the m1550 pulls ahead of the MBP is the option to add an mSATA SSD drive as well as standard SSD – a memory card-sized drive up to 128GB that’s used as a cache. Our review unit didn’t have one, but we’d expect it to give a notable performance boost. Powered by Nvidia’s Quadro 3000M workstation-class graphics chip with 2GB of its own RAM, the m1550 performed well in our real-time 3D tests – easily outstripping the MBP RD as it’s throwing around 3D at 1,920 x 1,080 not 2,880 x 1,440. 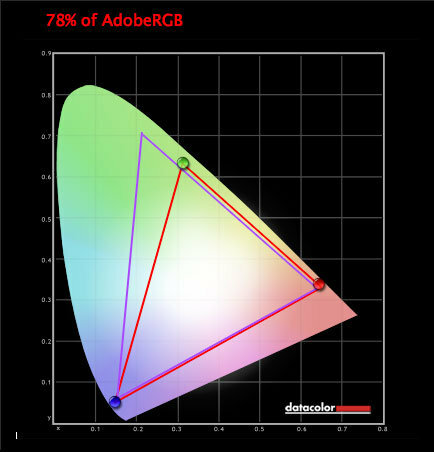 The m1550s screen was disappointing – overly glossy and capable of producing 9 per cent less of the Adobe RGB colour spectrum than the MBP RD’s (a matte version is available though). We wish it was smaller, but the m1550 is quite the performer for CG, VFX, video and animation pros.